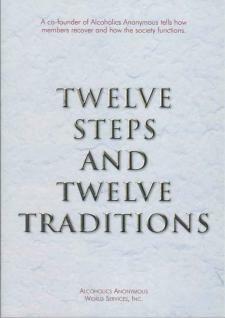 For easier reading, this 12 Steps and 12 Traditions large print edition is twice the size of the regular 12 x 12. Originally published in 1952, this 12 traditions of AA book is used by A.A. members and groups around the world. It lays out the principles by which A.A. members recover and by which the fellowship functions. The basic text clarifies the Steps which constitute the A.A. way of life and the Traditions, by which A.A. maintains its unity.